FLUIDOS is a Carrara 8.5 plugin that runs a modified version of the fluid simulators by Ryan L. Guy (https://github.com/rlguy) and Christopher Batty (github.com/christopherbatty). 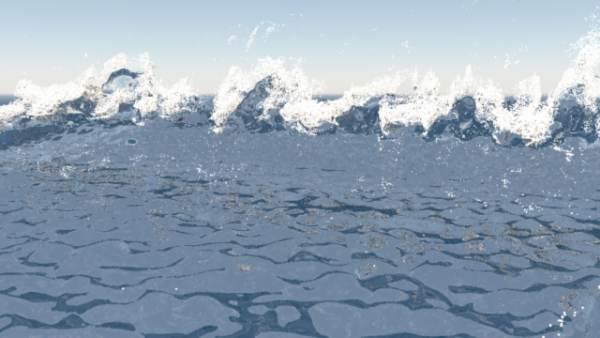 Now with spatially variable viscosity and obstacles can push fluid. 0oseven (3 months ago) Inappropriate? Continually amazed by your generosity in sharing this gem with the community. Thanks so much Alberto. headwax (9 months ago) Inappropriate? thank you Alberto that's wonderfully kind and exciting!!!! Sci Fi Funk (1 year ago) Inappropriate? Wow! Well done. Free as well thanks very much. SileneUK (1 year ago) Inappropriate? spacebones (1 year ago) Inappropriate? Stezza (1 year ago) Inappropriate? tnehsdl78 (1 year ago) Inappropriate? silverdolphin (1 year ago) Inappropriate? Stupendous, Thank you very much. vyusur (1 year ago) Inappropriate? Thank you very much for the great plugin! 0oseven (1 year ago) Inappropriate? headwax (1 year ago) Inappropriate? DougAng (1 year ago) Inappropriate? Thank You I have been looking forward to this for a bit. MDO2010 (1 year ago) Inappropriate? Thanks so much for all your hard work on this. Cellulo (1 year ago) Inappropriate? Thanks a lot Alberto, a really cool plugin. DUDU_car (1 year ago) Inappropriate? Thousands thanks for this great plugin,Alberto!